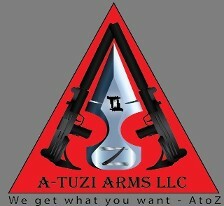 Welcome to the A-TUZI ARMS LLC SERVICES information page. We are the premier provider of firearms, related accessories, and services in the Lawton area. Our goal is to provide the very best pricing and guidance with regard to firearms purchases and ATF protocols. Because our quality control standards are high, our licensed and accredited staff are among the best in the business. Our goal is to always deliver what you want at the right price, and in a timely manner. We want you, our valued customer, to be happy. Here is a list of our services. AR and M4 parts: Rebuild or retrofit your AR or M4 with side charging uppers,handguards, grips, sights, and even gas piston systems from the best names in the industry. Threaded Pistol Barrels: We have partnered with Storm Lake in order to provide our customers with options for threaded barrels. Buy something online, or prefer to know for sure that your sold firearm is in the right hands? Call us to set up an ATF approved FFL transfer. Fees associated with this service are a low $25.00 every day, regardless of the type of firearm. Have you got something to sell and dont want to deal with the hassle or get ripped off at the local pawn shop? Let us list it for you on our site and Gunbroker.com. We ensure that the buyer is of legal age and not a felon while honoring what the item is actually worth. We ask a small fee for this service, a modest 10% which covers the listing and the transfer. Keep in mind we will need to apply sales tax to these types of transactions as well. NFA (SOT) related items and services are now available!